Sombrero Ranches, Inc. has over 1000 gentle saddle horses to accommodate all your horse rental needs. We have horses for all types of events, whether it is for a day, week, or an entire season! Join the excitement, and do not miss the opportunity to participate in the authentic Colorado western experience! Folks from all over the world travel to Colorado to experience the raw beauty of the Rocky Mountains. Many choose to explore the area on horseback, and Sombrero Ranches, Inc. is the largest outfitter in the state. Sombrero was created in 1958 by Rex Ross Walker, his late brother-in-law, Pat Mantle, and the late Keith Hagler, an avid horseman. 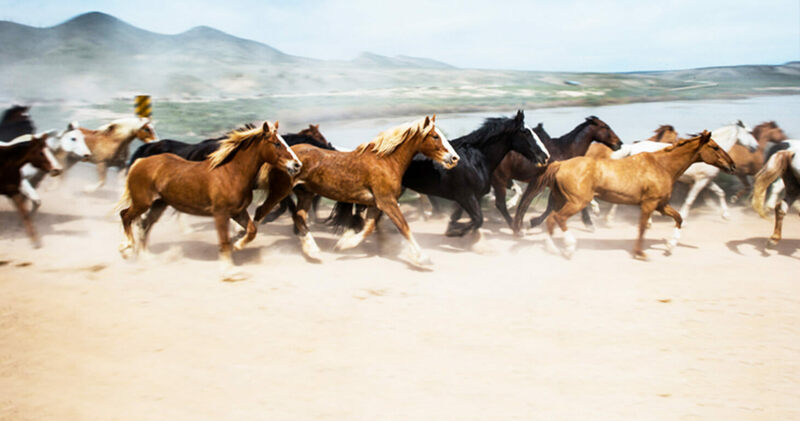 Rex, a native of Texas, had developed an intense interest in horses, and traveled yearly to Colorado, starting when he was eleven years old, to spend time on a ranch. Later, while still in college, Rex met and married the stunning Queeda Mantle. Through Queeda, Rex met Pat Mantle, Queeda’s brother, a native of Colorado fresh off the family ranch. Pat Mantle, was raised in the remote country nestled below Blue Mountain, near Vernal, Utah. 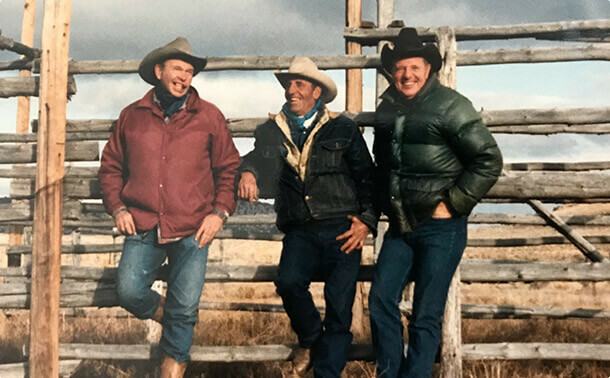 Pat, and his family, were famous throughout the western slope for their horsemanship and hearty homestead upbringing. Pat, knew the land, and understood horses better than most.